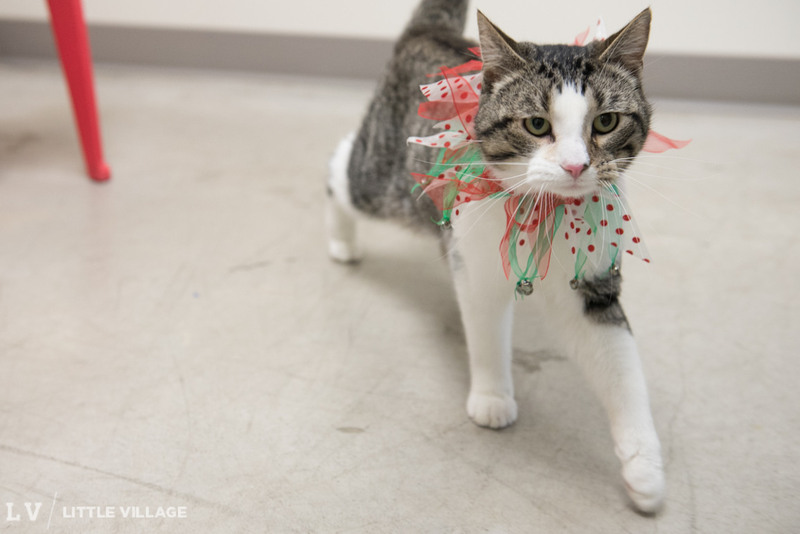 After a successful Holiday for the Hounds party and donation drive last week, the cats of the Iowa City Animal Center are enjoying their new gifts, including a festive Christmas-y collar complete with jingle bells. Well, the staff and volunteers are enjoying it, at least. 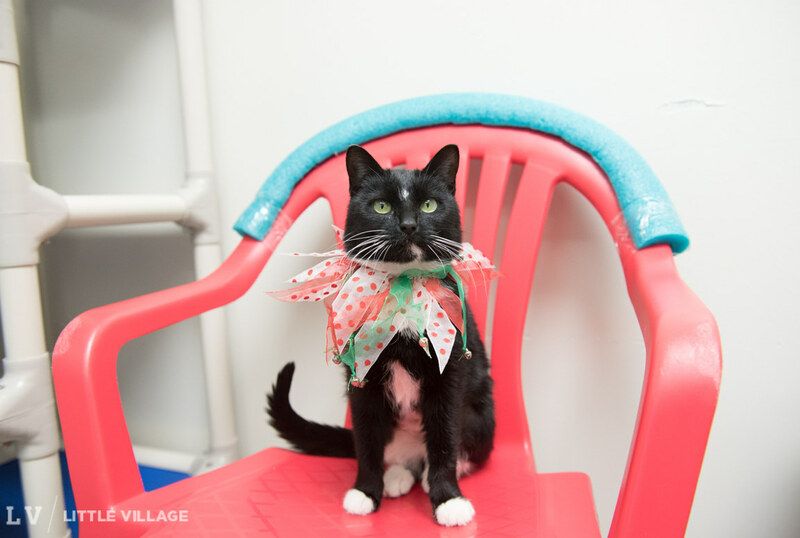 The shelter is full of singing felines, most notably Read (named after center staff member, Jen Read). This 2.5-year-old tabby doesn’t do anything without singing his own soundtrack. 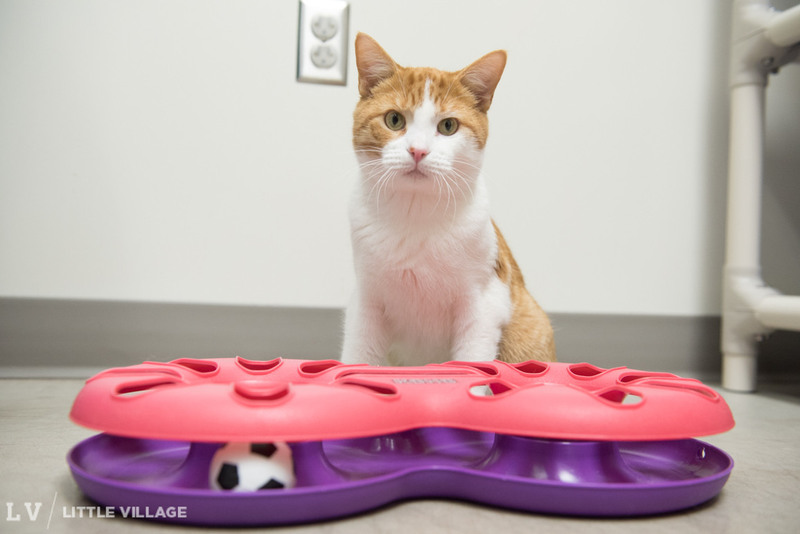 Read also happens to be one of the world’s friendliest cats, and enjoys robust snuggles and scratches. He will headbutt and rub against his humans until the cows come home. Ginger Gin is another caroler, singing a sweet song one minute and attacking a sparkly toy ball the next. Gin loves to play, but does so with grace and skill, making for mesmerizing viewing. Star may not be a fan of the Christmas collar; watching her walk around uncomfortably in it is rather like watching a cat wearing kitten mittens. But even Star can’t deny that it makes her a merry sight. Star is a petite 1.5-year-old with an adorable white blaze on her forehead. Like the proverbial Star of Bethlehem, Star is gorgeous and awe-inspiring. 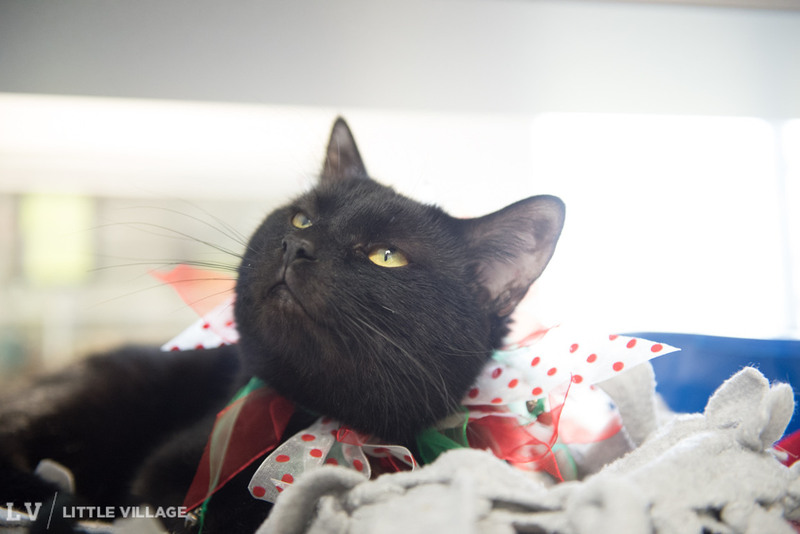 A very different black cat is Toby, far more quiet (and lazy) than his fellow Adoptable Pets of the Week. Toby may not be a go-getter — in fact, he is rather like a feline Eeyore — but he’s the kind of loving lap cat that goes perfectly with warm quilt, crackling fireplace and a cup of cocoa. Visit the shelter’s website for more information on adoption. 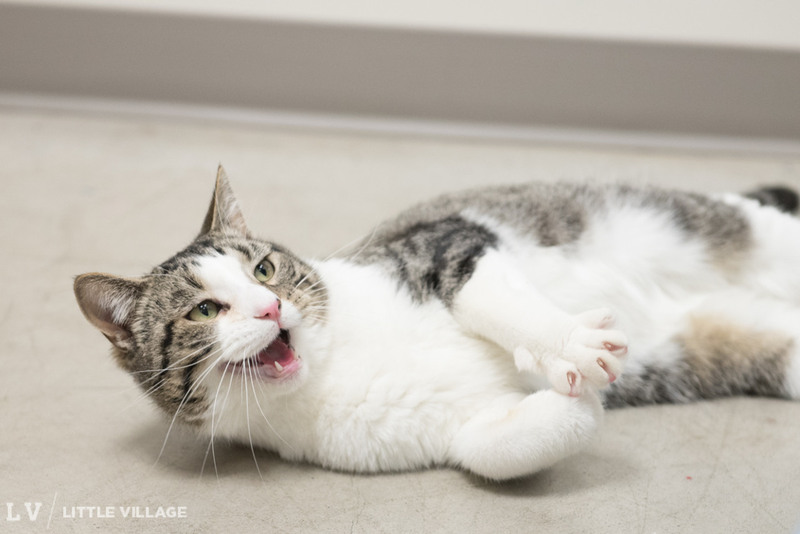 To meet Read, Gin, Star and Toby, stop by the Iowa City Animal Center at 3910 Napoleon Ln between 10:30 a.m. and 5:30 p.m., Monday-Friday, or 10:30 a.m. to 3 p.m., Saturdays. 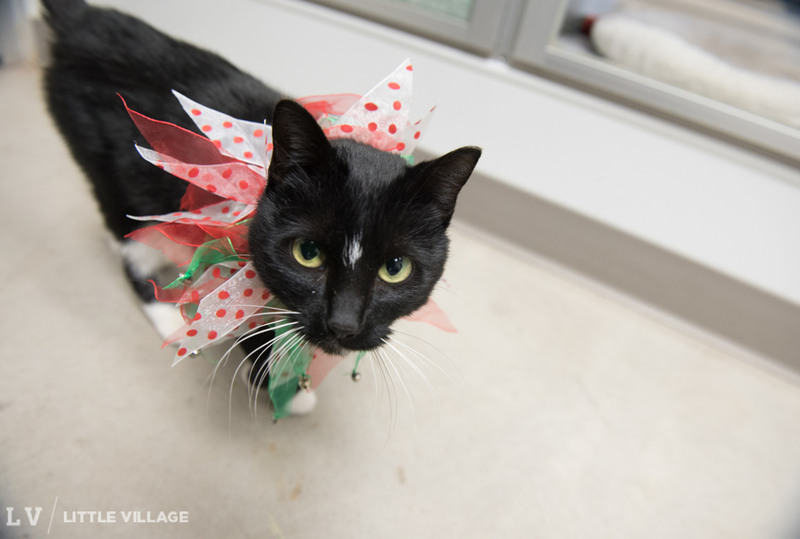 The shelter will be closed on Dec. 25. Project Holiday has helped those in need enjoy a holiday meal for 30 yearsCelebrating the jólabókaflóð tradition this year? Here’s how!